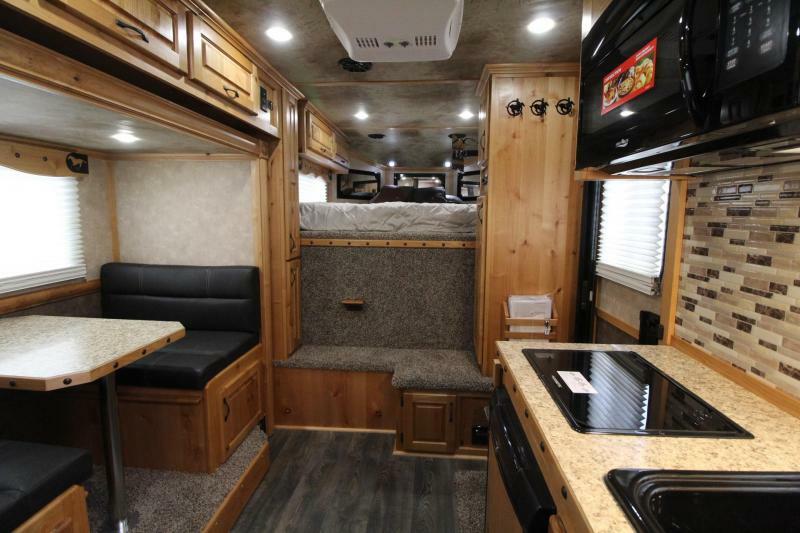 Trails West knows all about your lifestyle and the importance of ease on the road. 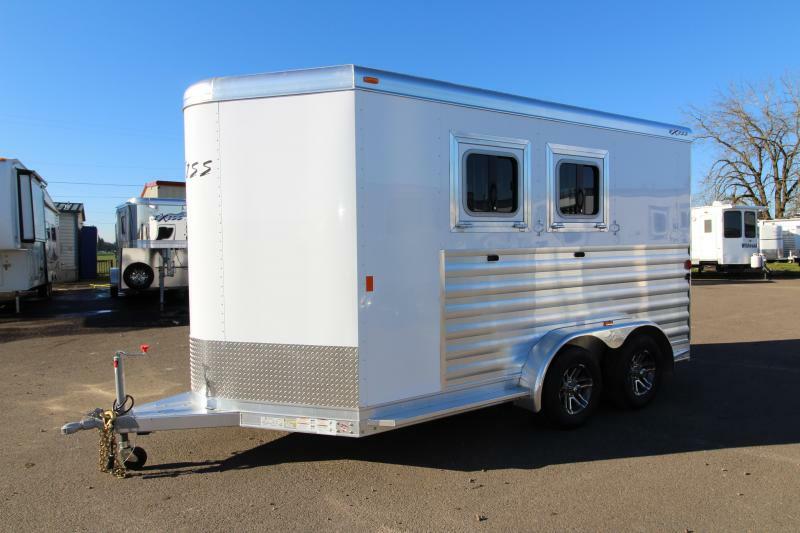 That's why we design each horse trailer with living quarters to suit your needs. 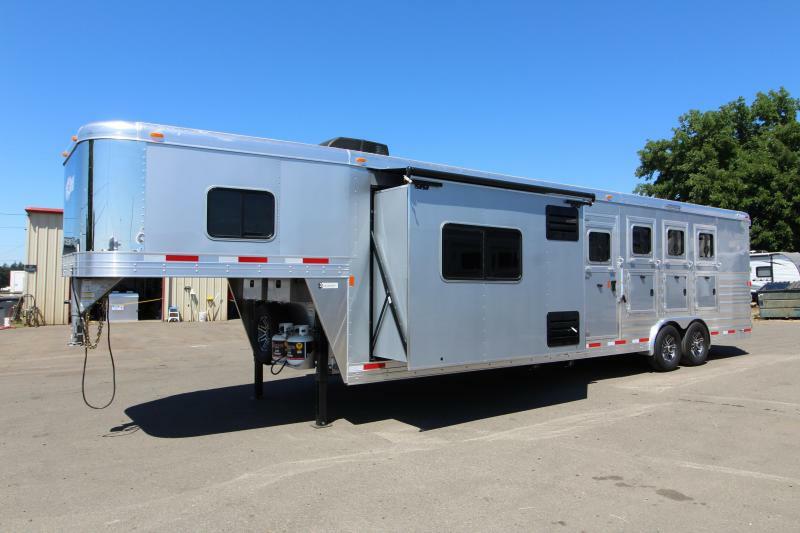 We take the extra step of constructing the trailer shell, and finishing out the living quarters in-house at our facility in Preston, Idaho. 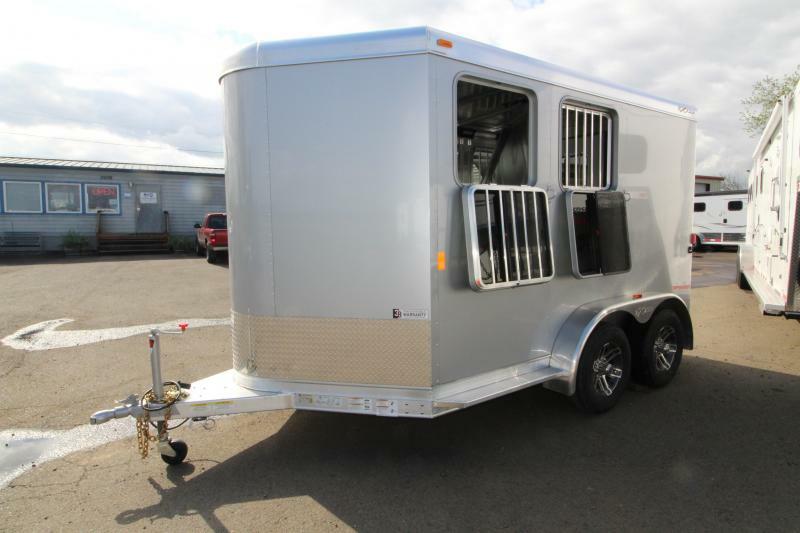 When you buy from us, you get the same quality horse trailer with living quarters inside and out. 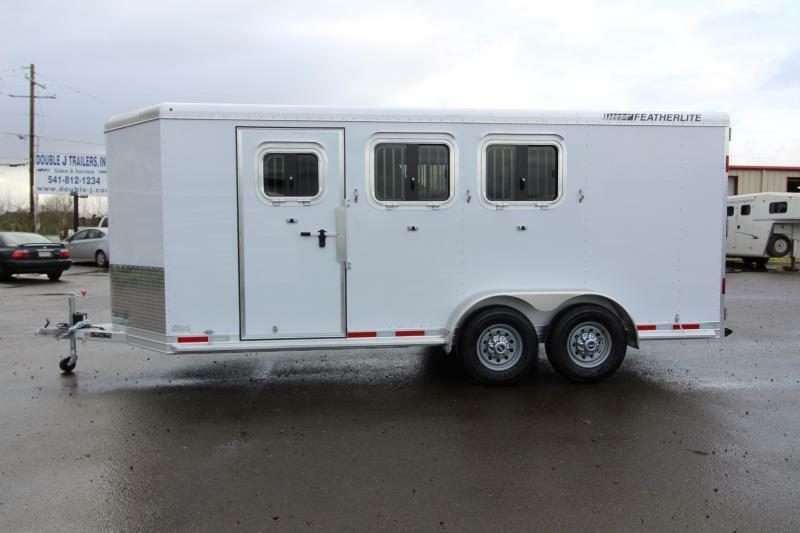 We do this to ensure you have nothing to worry about, so you can spend your time enjoying your family and horses. 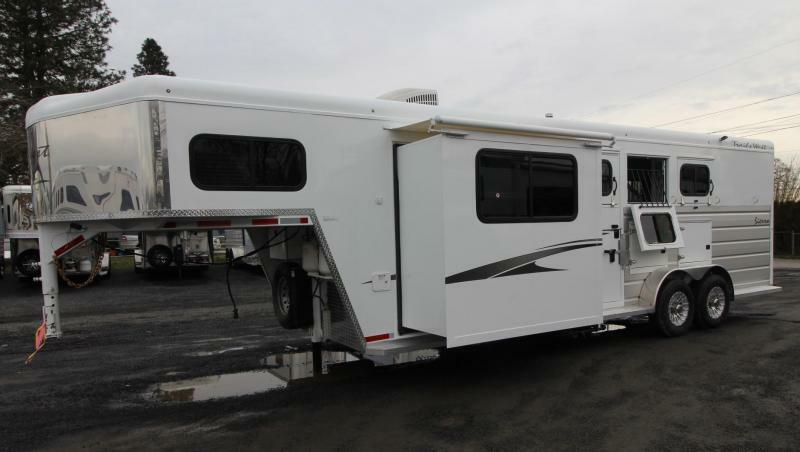 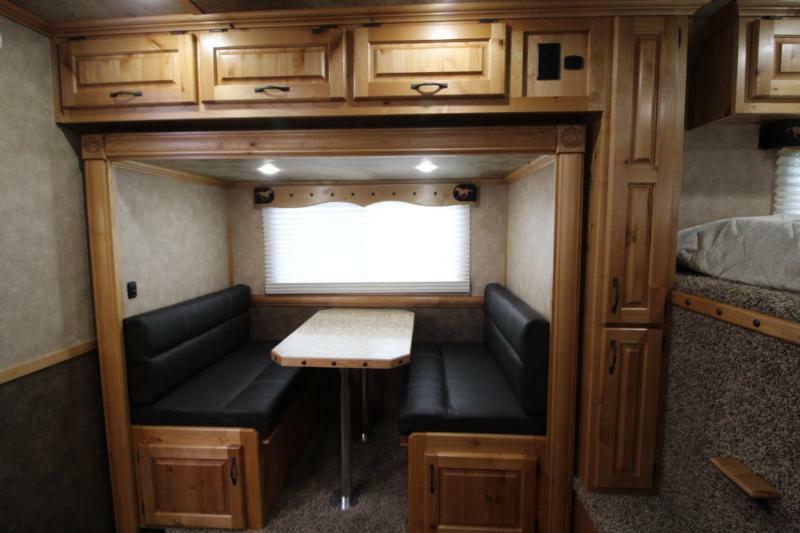 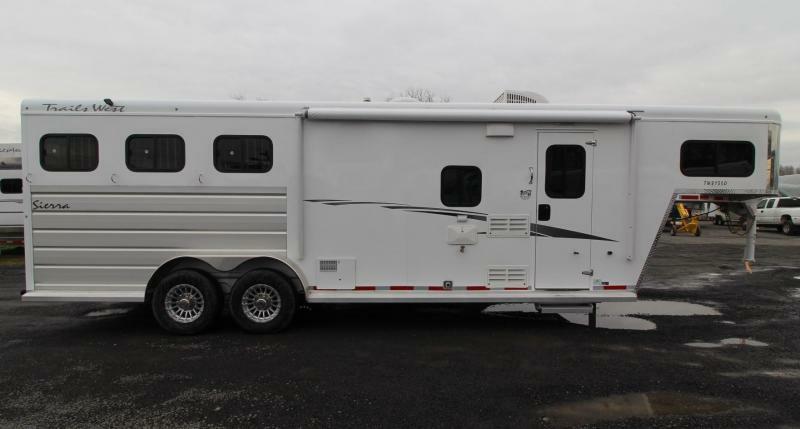 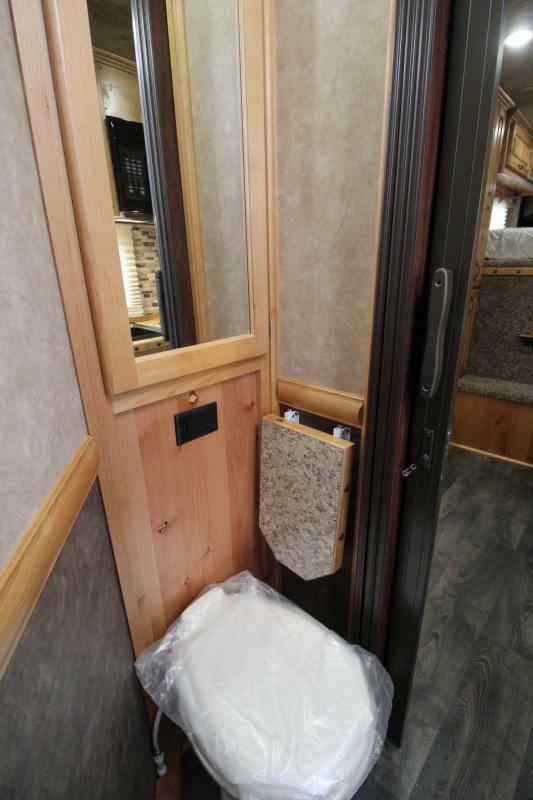 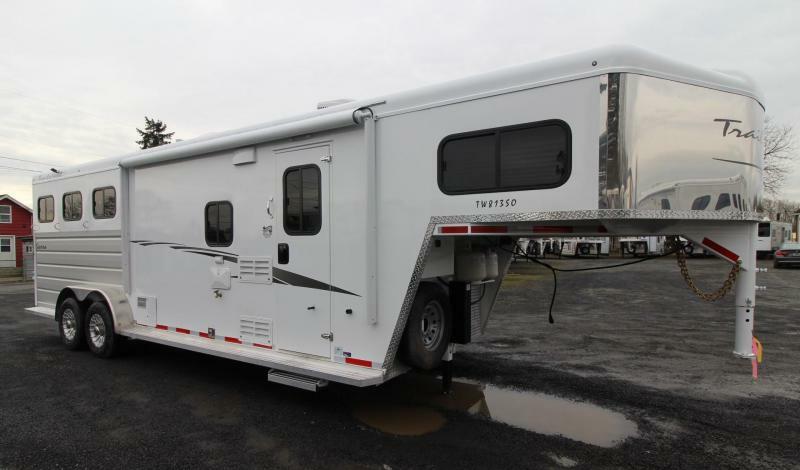 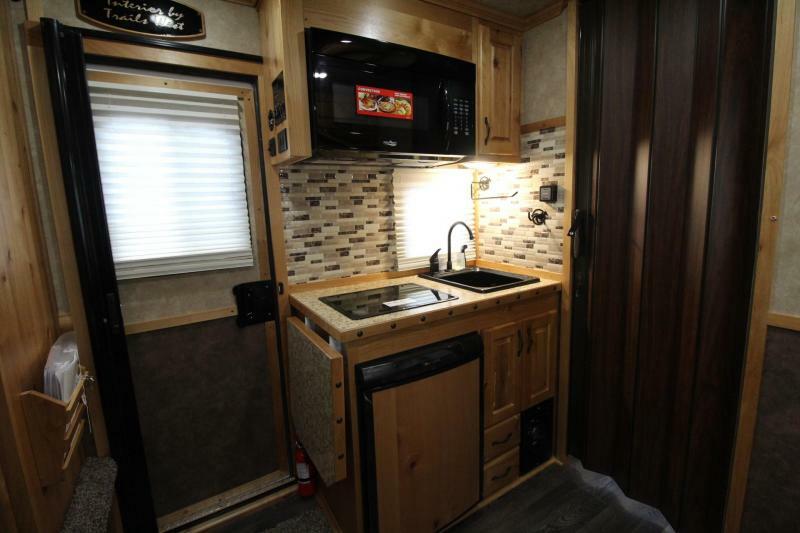 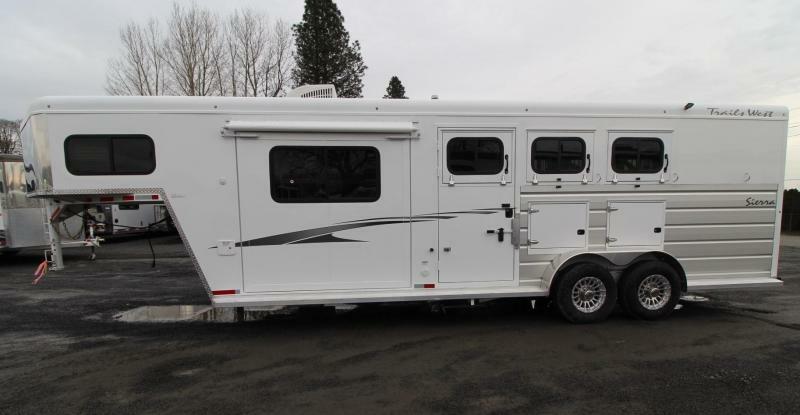 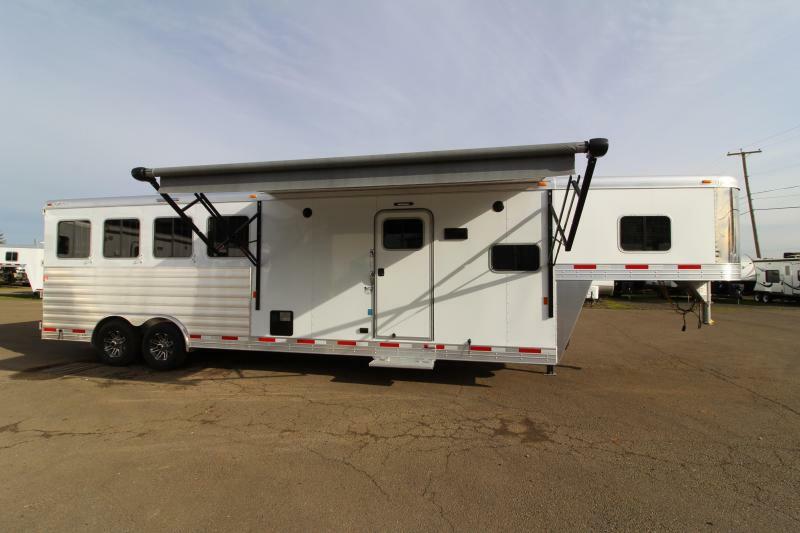 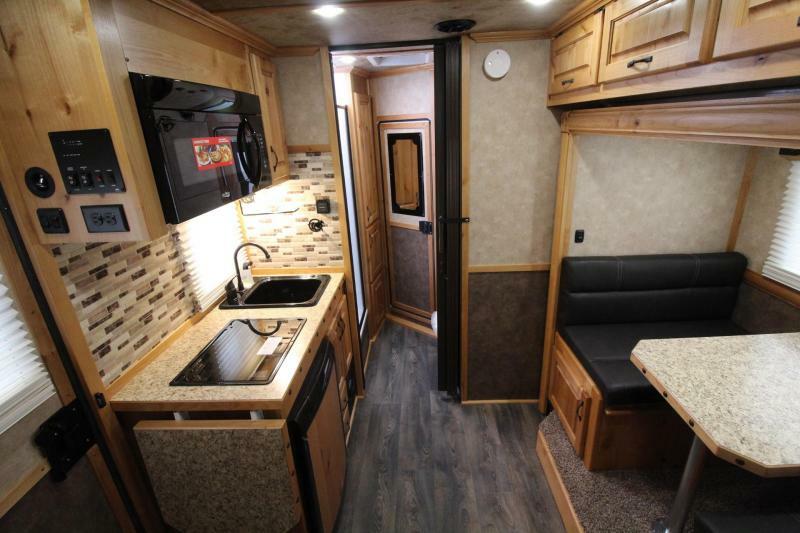 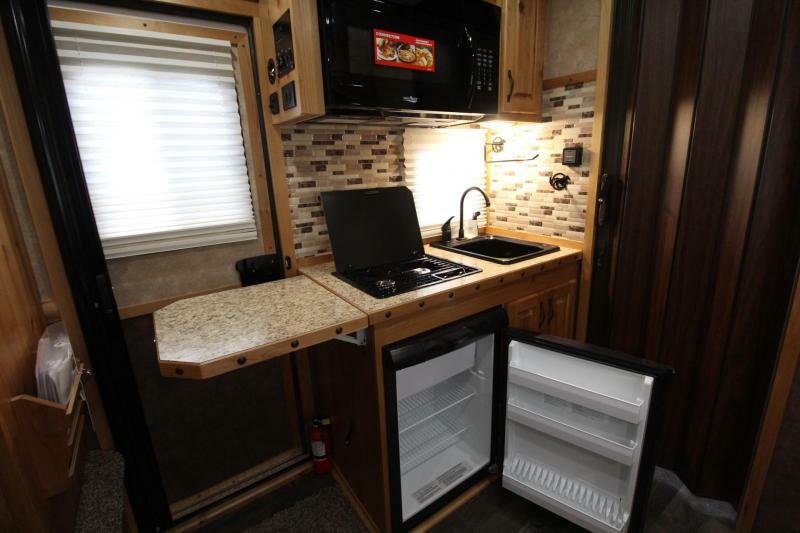 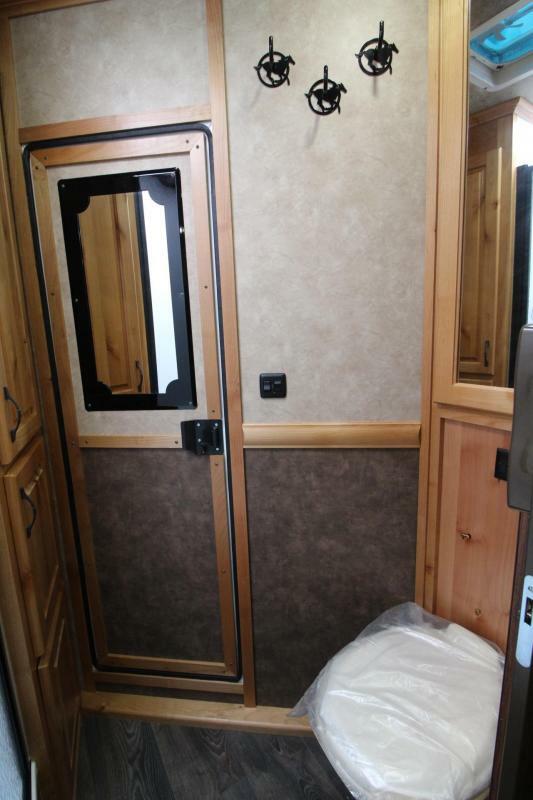 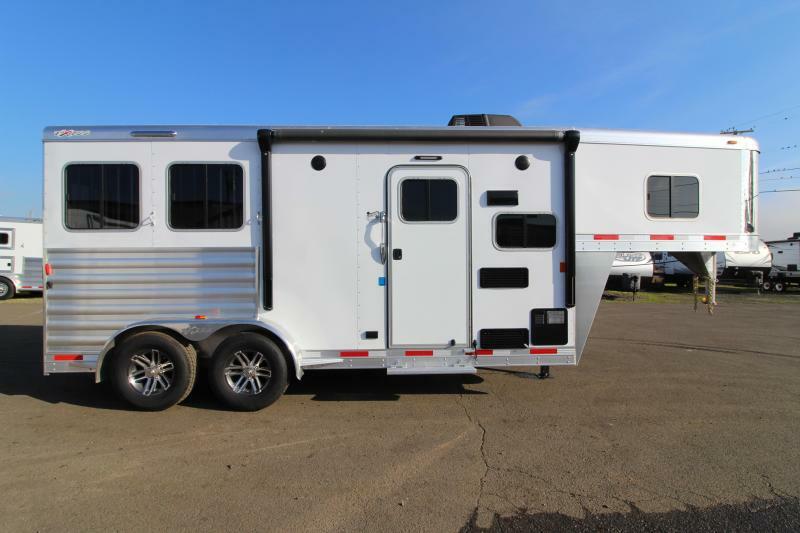 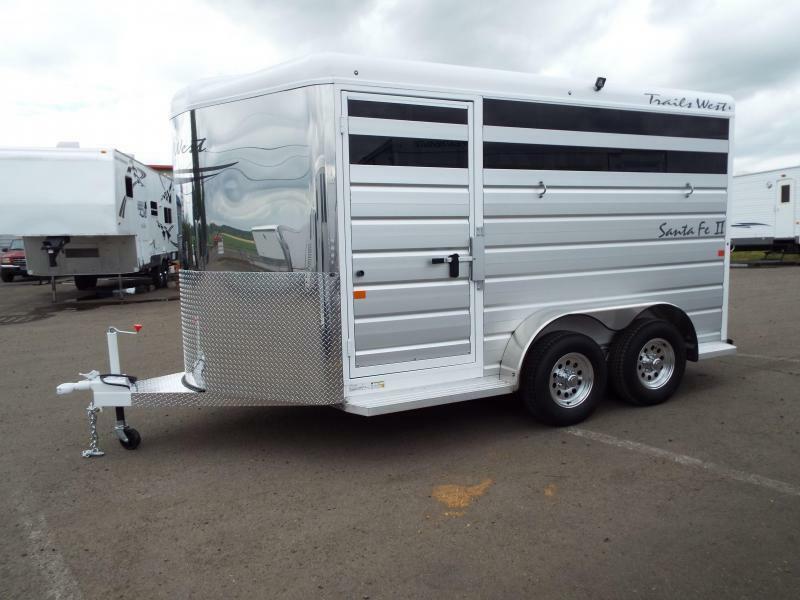 This is truly the best horse trailer with living quarters you'll find on the market. 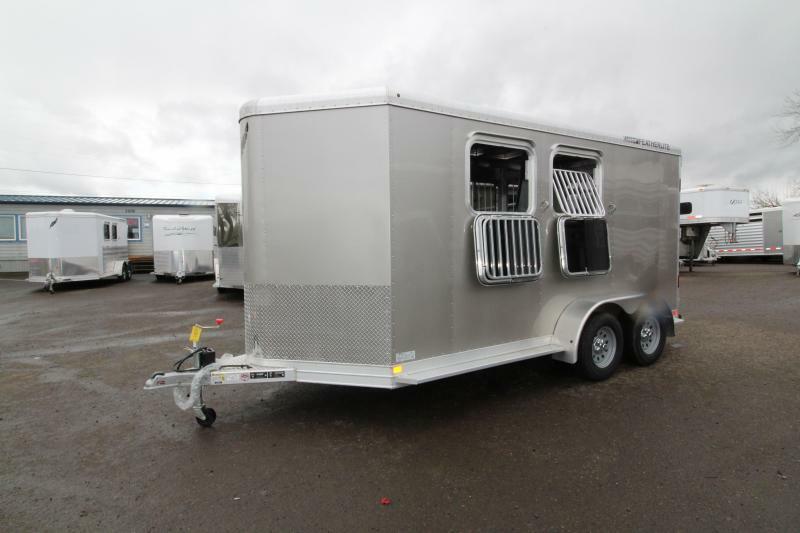 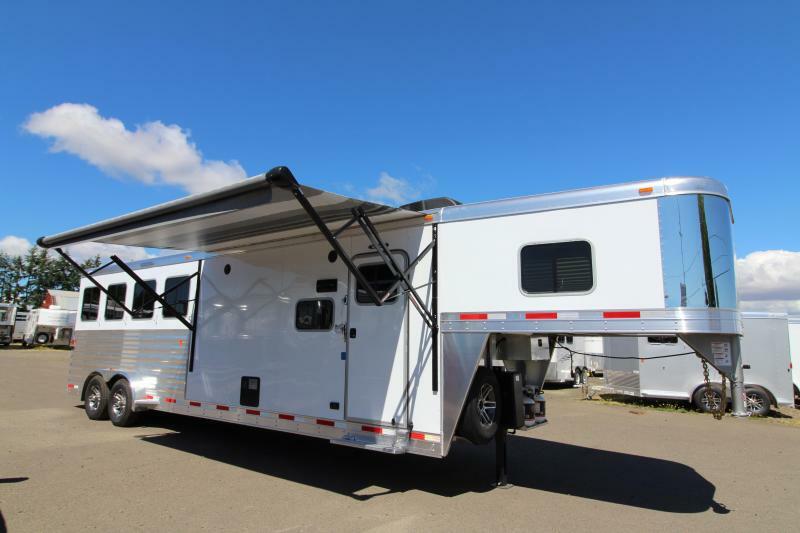 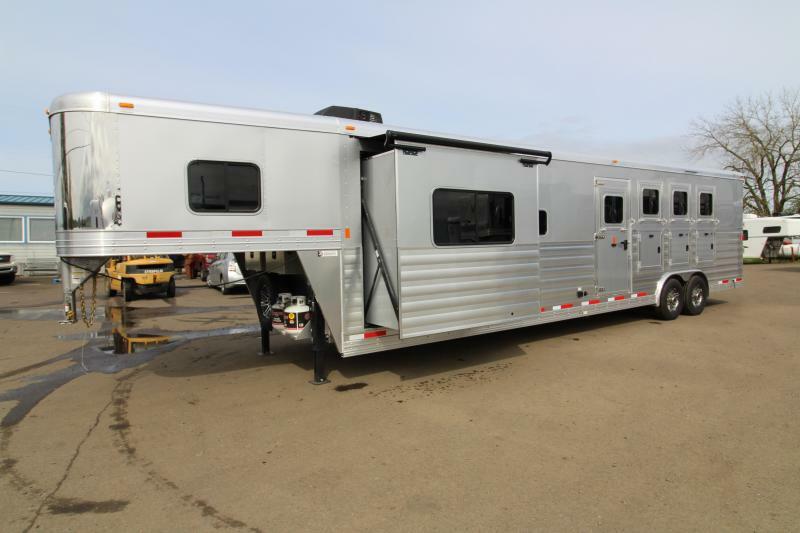 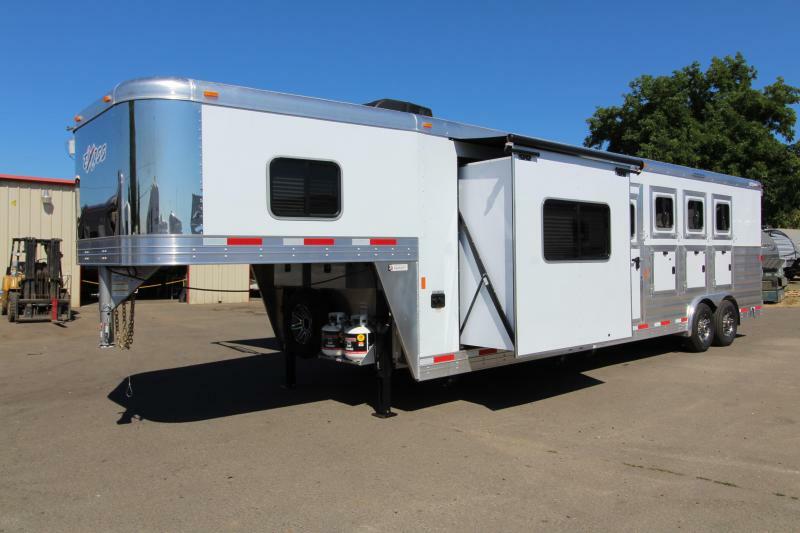 Trails West builds their horse trailers on solid steel frames encased in aluminum similar to the way aircraft and automobiles are manufactured, with strength and durability as their #1 goal. 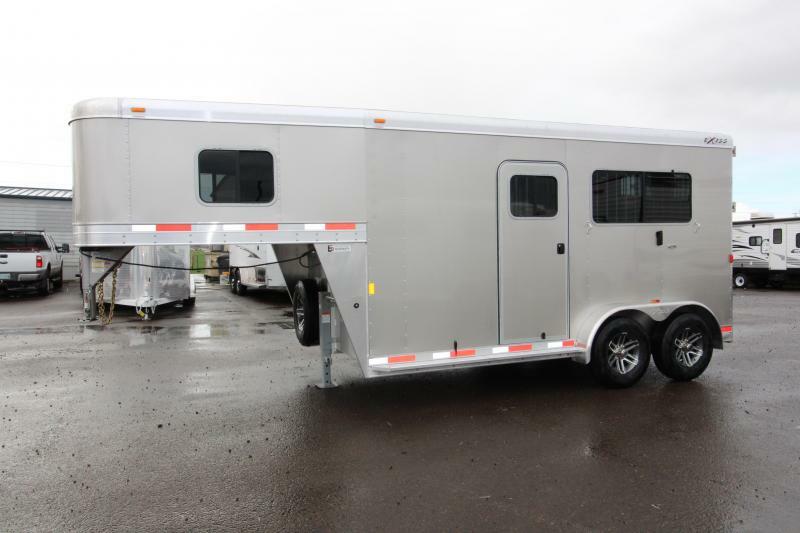 This hybrid process creates a safer and stronger trailer making it more resilient to the stress and flex naturally caused by travel. 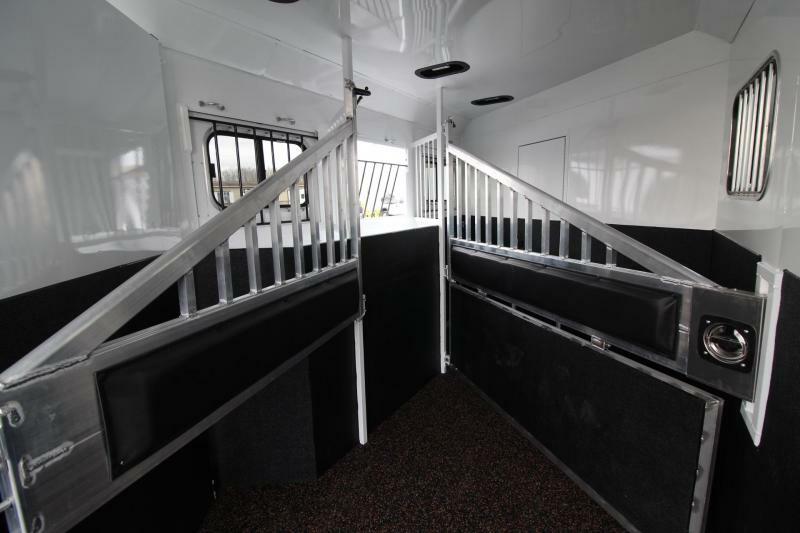 Hoof-Grip Easy Care Flooring is a high traction, shock absorbing permanent flooring. 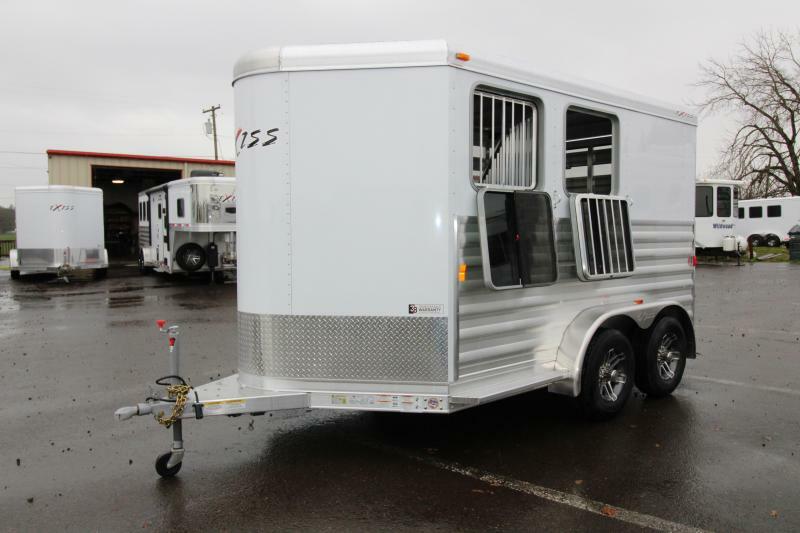 It will make your horses safer, more comfortable, and perform better, all the while enhancing the appearance and functionality of your trailer and saving you time and money on shavings and clean-up. 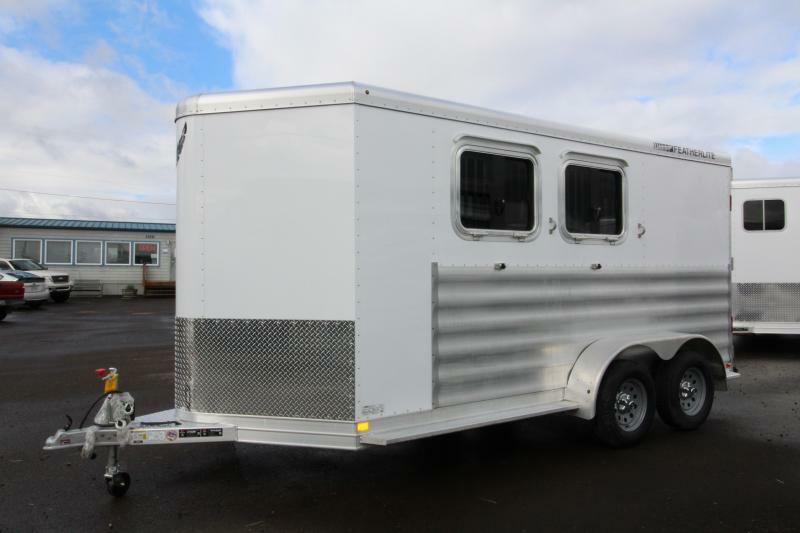 Drain holes are drilled in the trailer floor and then the floor is coated with a sealant to prevent moisture from coming in contact with the trailer floor. 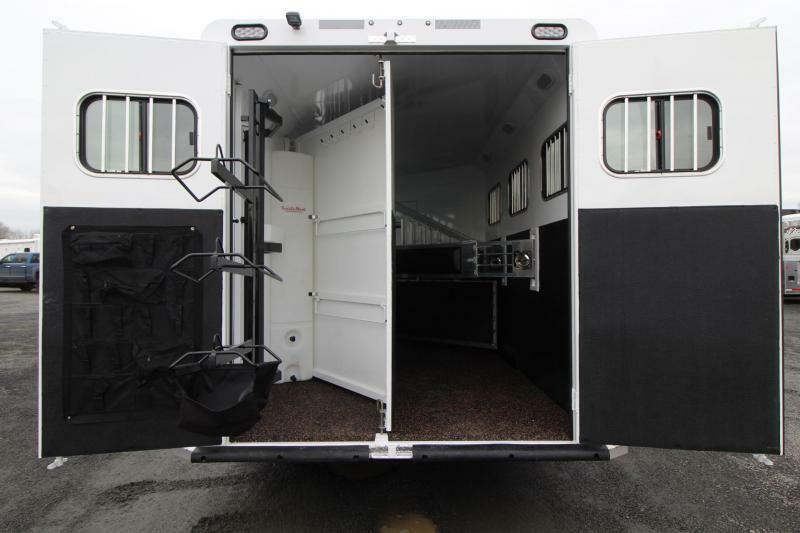 Then 3/4" of previous rubber is trawled in to the trailer to create a permanent shock absorbent floor which lets urine drain straight through to the ground. 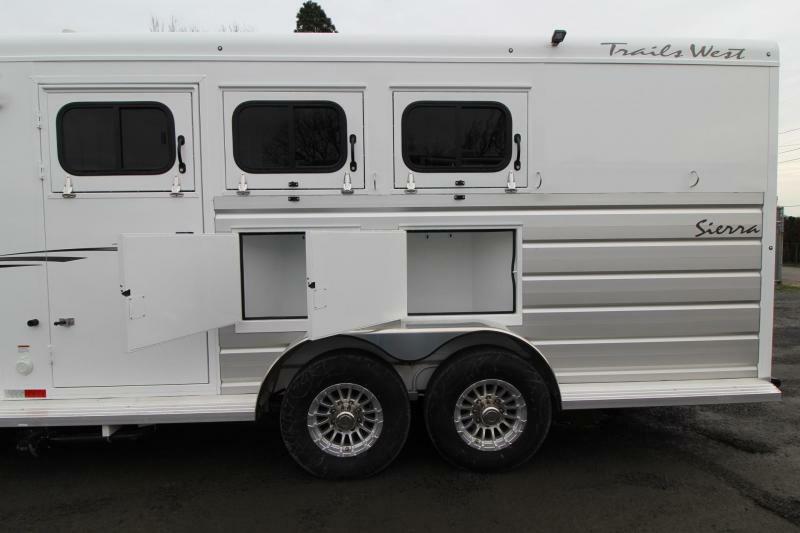 No more shavings. 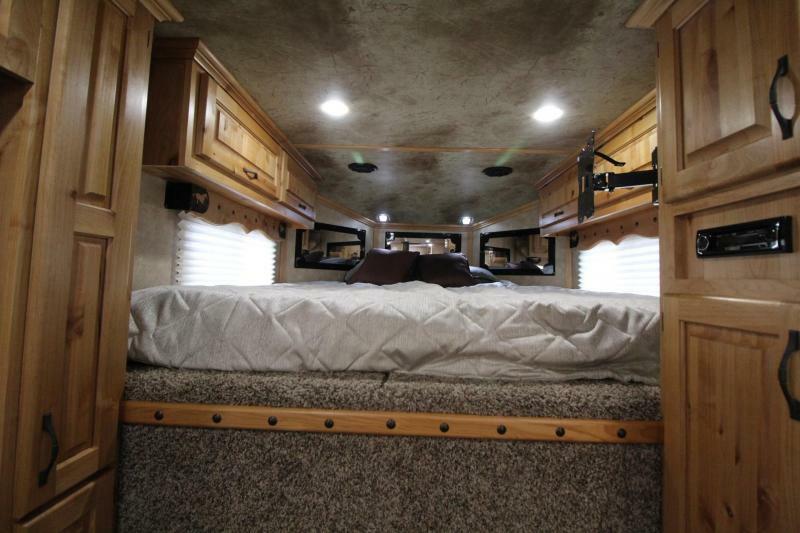 No more slippery, heavy mats. 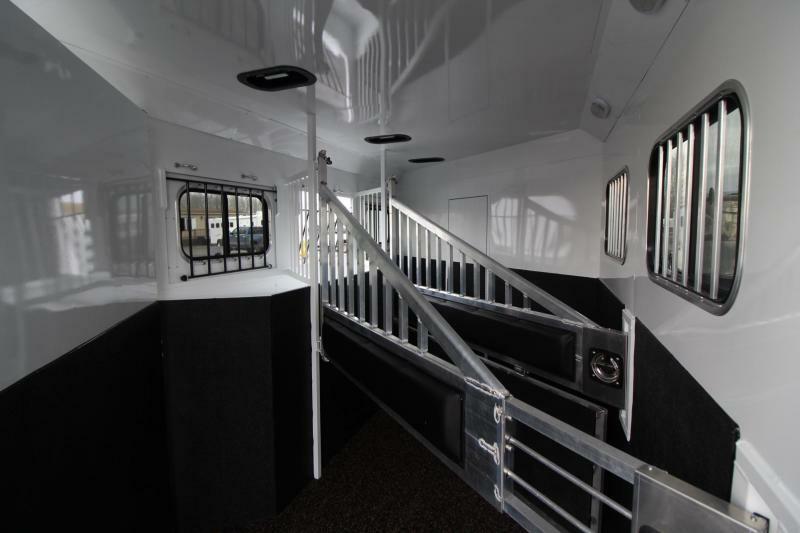 No more muck. 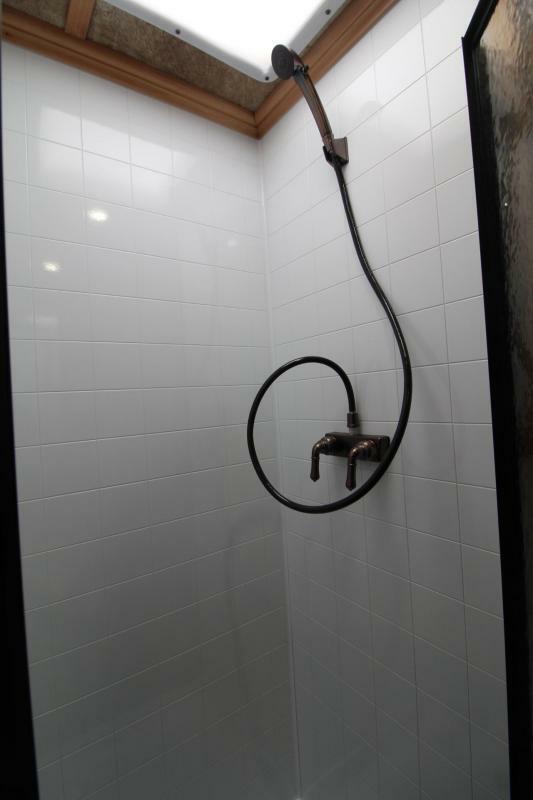 Manure can be shoveled out and then the remains can be easily rinsed out with a hose. 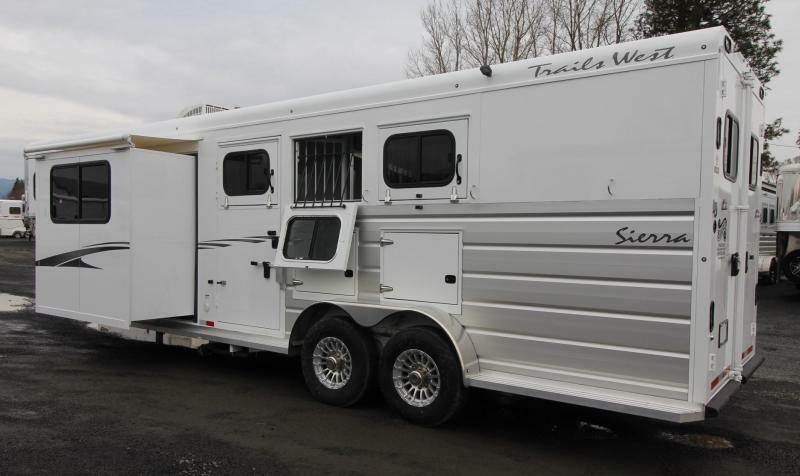 NO MORE SHAVINGS IN YOUR HORSES EYES AND LUNGS. 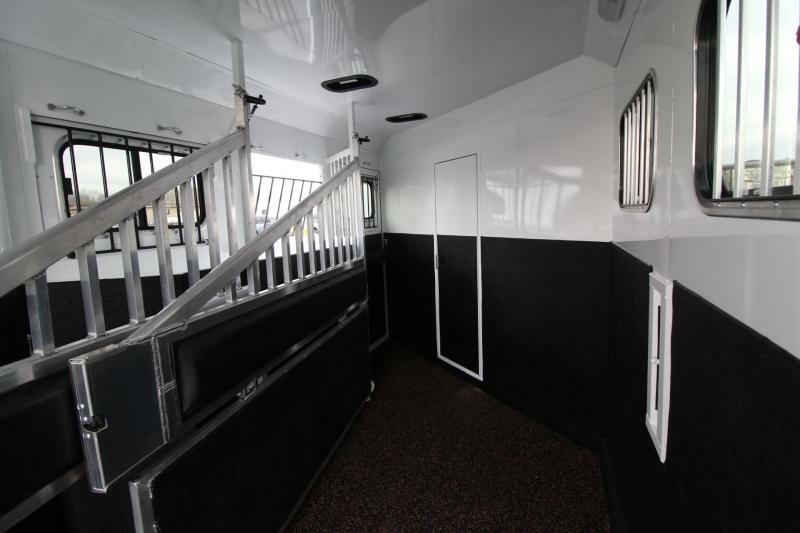 Hoof-Grip Easy Care Flooring reduces the impact and shock on horses' hooves and legs, which means that even horses with hoof and leg soreness are more stable and comfortable. 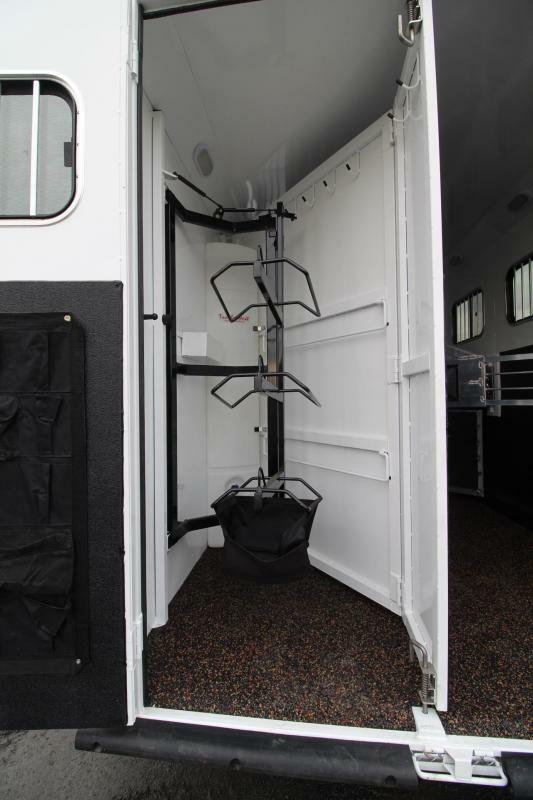 Since your horses don't have to strain to maintain their footing, they can be more relaxed. 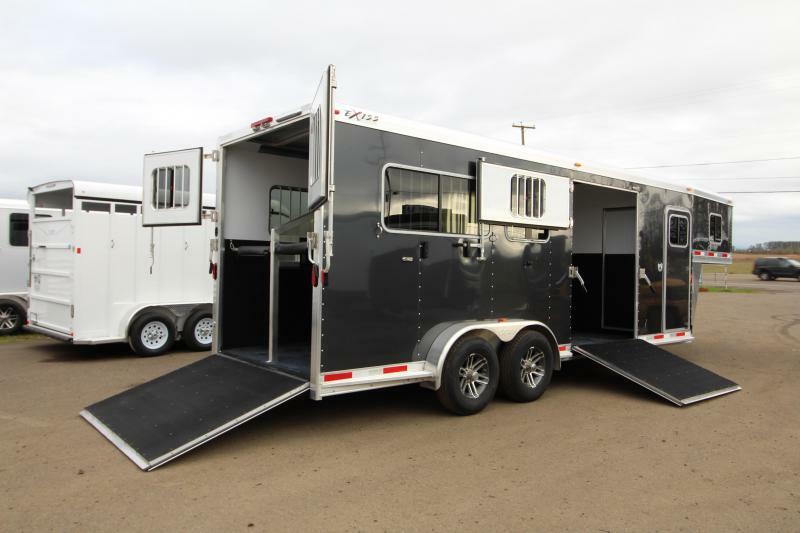 And since Hoof-Grip Easy Care Flooring is a noise suppressant and heat barrier, the cooler, quieter ride will further reduce mental and physical stress normally associated with trailering your horses. 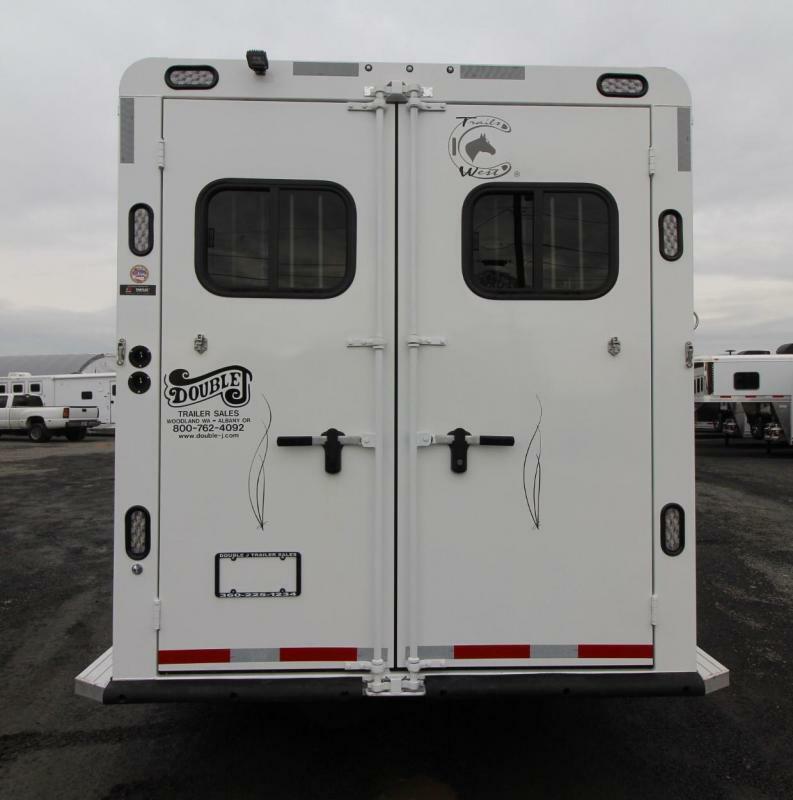 Pin to Pin Measurement: 41"
Anodized Extruded aluminum outside horse area.